Everyone, from a child to an adult, suffers from tooth pain sometime or another. Tooth pain can be very irritating and annoying. It affects your chewing capacity and interferes with your daily routine. Tooth pain can occur due to various reasons such as, gum infection, tooth decay or cavity formation. Initially it is a minor problem but can turn serious if it is ignored at the onset. 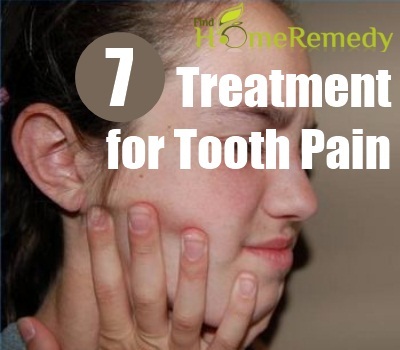 You can get temporary or even permanent relief from tooth pain by following some effective treatments that are available at home. You must consult a dentist to deal with recurring tooth pain for permanent cure of the problem. Cloves provide instant relief in tooth pain that is caused by cavities. It has mild anaesthetic properties. Take a cotton swab and dip it in clove oil, place the swab in the cavity to get relief from tooth pain. 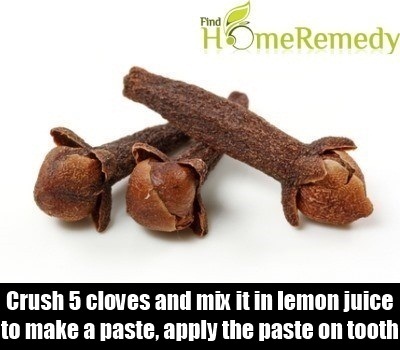 Crush 5 cloves and mix it in lemon juice to make a paste, apply the paste on affected area to treat tooth pain. Make a decoction by boiling 2-3 cloves in 500 ml. water and use it as a mouth wash at regular intervals. It has a soothing effect on aching teeth. Garlic is antiseptic and antibacterial. 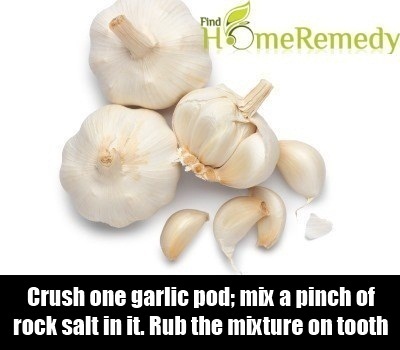 Crush one garlic pod; mix a pinch of rock salt in it. Rub the mixture on the affected tooth. Garlic helps to fight gum infection and it relieves tooth pain. Heat a glass of water; add ¼ tea spoon salt in it. Use it as a mouth wash during the day. Saline water helps to remove swelling from the gums and it gives relief from tooth pain. Chew 10-12 guava leaves for 2-3 minutes. Spit it out and wash your mouth with normal water. 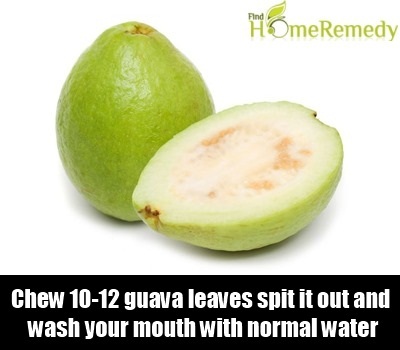 The juice of guava leaves help to cure gum infection and it relieves tooth pain. Do it regularly for 15 days. Boil guava leaves in water. Strain the water and use it as a mouth wash to treat tooth pain. Mustard oil helps to strengthen the gums and it relieves tooth pain caused by gum infection. Take 1 table spoon warm mustard oil and mix a pinch of salt in it. 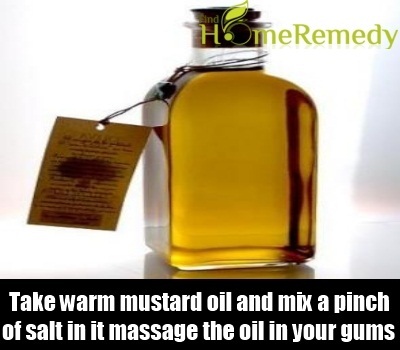 Massage the oil in your gums with the help of your fore finger and thumb. Keep spitting out the saliva. 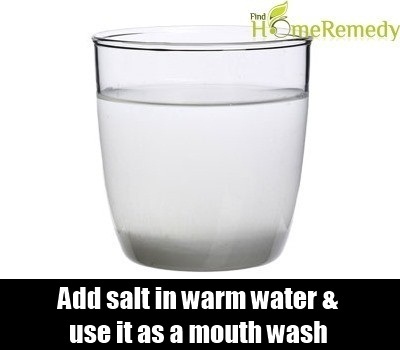 Afterwards wash your mouth with warm water. Do it every day before going to bed for treating tooth pain. Alum has antiseptic properties, it helps to fight tooth decay, prevents cavities and it also strengthens the gums. If you are suffering from tooth pain caused by cavity, then take a grain of alum, wrap it in a small cotton ball and place it in the cavity for instant relief. 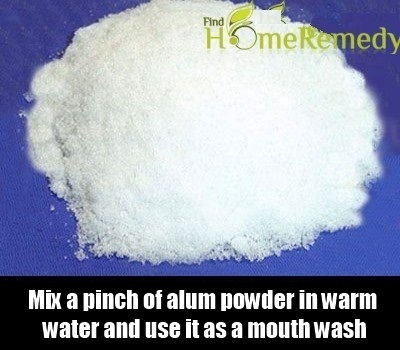 Dissolve a pinch of alum powder in warm water and use it as a mouth wash regularly to tighten the gums and to treat tooth pain. Camphor is anti bacterial. It prevents tooth infection and helps to fight tooth pain. 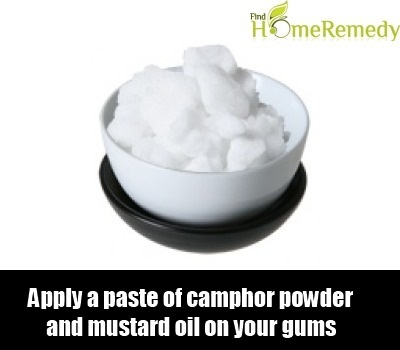 Apply a paste of camphor powder and mustard oil on your gums and teeth to relieve tooth pain.